The difference between dishes I would cook at home, and those I would cook at the restaurant are twofold; firstly, the effort involved in sourcing the best ingredients (we currently use lightly smoked and cured Ham Hocks bought from local smoker, Capreolus Fine Foods); secondly, the preparation time; to make a Ham Hock Terrine takes 2 days. It's a worthwhile endeavour but as a home cook you've got to be organised to do it. This recipe is ideal if you start mid-week for a weekend dinner party, for example. Ham Hock is a cheaper cut of meat and it's well worth sourcing a good quality joint from an independent butcher. This recipe contains two fantastic British products, organic pearled Spelt and Old Winchester cheese. We've been trying to move towards using mainly British produced ingredients in the restaurant, and although we have a long way to go yet, these two products will definitely remain on our menu for the future. I discovered Spelt recently through the 'Taste of The West' awards. It's an ancient grain and a distant cousin of wheat, introduced to England, it's thought, by the Romans. I had been looking for an alternative to rice and the pearled spelt is as good as, if not better than, rice. It doesn't have the stickiness of risotto rice but retains an aldente centre which gives a wonderful bite to the texture. Old Winchester is a vegetarian, hard cheese, with a delicious deep flavour which I use in place of Parmesan. Confit can refer to preserving by immersion, historically this was fruits preserved in sugar. More commonly confit is used to describe a method of cooking by slow poaching in oil or fat, French confit is typically Duck or Goose poached in fat whereas in Italy it is poached in olive oil. I use vegetable oil or duck fat, a few herbs in the oil will infuse a great flavour to the meat, the meat is seasoned with brine before slow poaching for a few hours to create a delicious flavoursome meat. Rabbit works brilliantly as it is a lean meat and the method of cooking stops it drying out which is often a problem when roasting rabbit as they are naturally very lean. To serve, spoon the risotto into a large bowl and place the rabbit meat on top. Decorate with a sprig of fresh thyme. January is a challenging month for wild foods as the prospect of a warm house will often win the battle for motivation to get out and pick, plus the choice, admittedly, is limited. What is great to eat at this time of year are the fantastic wild meats, Venison, Pheasant and Rabbit to choose three we often use in the restaurant. These are great choices for something that is in season and reasonably priced, and a good alternative to supermarket meats. To enjoy Venison I prefer a less hung animal, often no more than a week, so as not to be too gamey and to allow the more subtle flavours to come through and enjoy a few accompaniments too. I like to accompany a good piece of venison with some seasonal vegetables, and berries. The stand out vegetable at this time of year is a Jerusalem artichoke which, while not growing wild in the UK, was a staple food for North American Indians, in the USA it is also known as the Woodland Sunflower although I have never seen one in flower. For berries, unless you made some preserve in October/November them it is time to look into the freezer, I'll give you a simple recipe that can be used for wild berries but also look for frozen british berries, I prefer red berries for flavour and appearance. This is too easy and you'll never buy shop bought again once you try. Use berries (fresh or frozen), I use a mix of the below to get a sweet, bitter, dry sauce which works brilliantly with Venison, but do use what you can find or purchase. Leave the pan on the heat for about 15-20 minutes till the berries are starting to break down, don't be afraid to use the back of a wooden spoon to encourage them to mash a little. Take off the heat and strain through a sieve, use the wooden spoon to squash the juices though the sieve. Add a little sugar to taste, err on the side of tartness to get a great flavour with meats. Jerusalem artichoke can be intimidating to prepare at first appearance, nothing could be further from the truth. Soak the root in a sink for 10-15 minutes to loosen any dirt, then, with the back of a small vegetable knife, scrape the skin off the root, don't worry about any little lumps or bumps as we'll deal with them after cooking. Force the cooked root through a sieve into a small pan, leaving behind skin and any other bits we don't want to eat. Add a little cream and salt to the sieved mash and beat with a wooden spoon over a moderate heat till the puree is an even, pale colour and smooth, this will take about 5 minutes. Taste and add more seasoning if needed. Venison steak, about 150-200g per person, the steak should be about 1" thick, Have your butcher prepare this for you. Season your Venison steak with a generous pinch of salt per side and a little ground pepper, leave for 15 minutes at room temperature. Heat a pan to a moderate heat with a decent knob of butter, to coat the pan about 2mm deep in butter when melted. As soon as the butter stops foaming place the steak in the pan and cook for approx 2 to 3 minutes per side with the heat turned up, a little longer for a thicker piece. This will result in a medium rare steak which is the perfect way to eat venison. If you like your meat cooked well done then Venison is probably not for you as it becomes unpleasantly tough when overcooked. 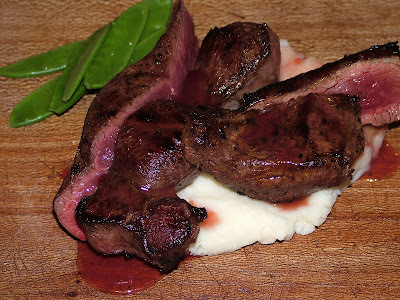 Serve the Venison on a bed of hot Jerusalem Artichoke purée and pour over a little berry sauce. Here's some recipes I've done with Russian Standard Vodka ... great vodka, and hopefully some alternative ideas for your Christmas dinner. When completed stir through some of the pomegranate seeds and watercress then serve, use the remaining seeds and cress to dress the plate. Here's a dish I made for the restaurant as a starter last night, a ramiken of the chilli with the wild salad and smoked venison ... its really good ! The chilli was made from a leg of venison I'd left to slow roast in the oven for the afternoon in an oven tray wrapped in clingfilm (to keep it moist). Assemble on bed of wild salad, slices of venison with beetroot, then drizzle a little berry sauce over to taste, serve. Mix chillies, meat, passata, chocolate and coffee together and heat together slowly, it will make a glossy, hot chilli which is delicious on its own with a few crackers or tortilla chips. It doesn't need to cook overly so keep at a gentle heat. Add more or less chillies, espresso and chocolate to taste. Will try and take a pic next time I make it ... 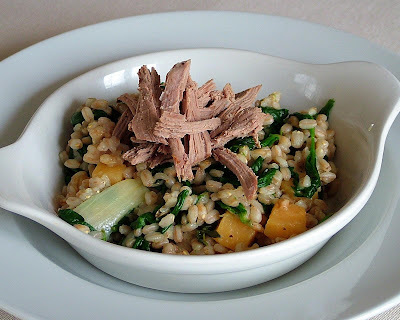 I actually think meat would detract from this yum dish ... its easy to make and delicious. I served some at lunch this week and got rave reviews. Bake dish in an oven tray 1/2 full of water (bain marie) at 160C for about 40min, check if set and keep checking every 5 min till it has. Slice and serve ... enjoy ! Inspired by the wealth of Asparagus suggestions floating around the web sites I follow I made a quick dish for dinner that was yum. Add Peas to minimal water, boil for 3 minutes, puree and season ... that's it ... delicious and simple. Add bacon bits for extra salty zing if you want but a a sweet, filling yummy soup you really can't go wrong. Today I added some asparagus stalks (not the woody end but the first inch or so after that) then followed the same procedure ... delicious ! Put it together and it was a delight ! I might go with parmesan shaving next time to try a stronger cheese as i think it could take it. Not the most elegant presentation but its just a quick dinner for me ... I was in a hurry to eat ! Anyway ... another idea for anyone looking for inspiration ... but have your first few bunches of Asparagus with Hollandaise first ... takes some beating. Classic dipping sauce for Thai fish cakes, I often use this with a squeeze of lime to cook squid ... one of my favourite quick dishes. Once you've made this you won't ever go back to bottled sauce ... only takes a few minutes and lasts well in the fridge. Add chilli, finely sliced on an angle to look pretty ... leave the seeds in. One is plenty hot enough. That's it ... very simple. 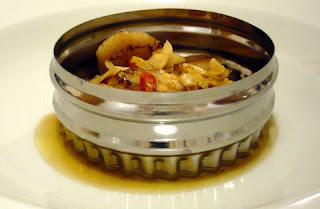 You can try adding fish sauce or using some palm sugar but I find it better to leave it simple and add the other ingredients to the dish rather than the sauce. Great for cooking with, squid, vegetables ... but to save you an experiment ... don't try it with crab meat ... it doesn't work ! The two different sweet flavours clash horribly ... mine went in the bin. OK ... its a simple dish to make but its all in the tasting like so many of my dishes. 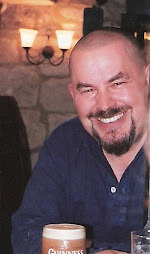 I don't put amounts in many recipes as I cook by taste the best way is to start with the basics and try for yourself. Different cheeses, stocks, crabs etc will have different tastes so the only way to make a dish you love is to taste as you cook. A brown crab is not expensive, should be about £4. Ingredients for the stock should also be free from a decent fishmonger when you buy your crab. First make a really good seafood stock with flatfish bones, scallop frill and a few prawn shells. Read about making stocks in a previous post here . Clean the crab, extract the meat and clean the shell ready for use as a bowl. Make a veloute with the stock, by making a roux with some butter and plain flour then adding heated stock slowly mixing till the consistency of double cream. Season then add some gruyere and parmesan to taste ... should be a nice balance of cheese and sea flavour. Add tabasco and some english mustard to bring in a nice heat to the dish. Add the meat to the shell then pour the sauce over. Add a little extra cheese on top then bake for 20min or so. It should be cooked through and slightly browned on top. 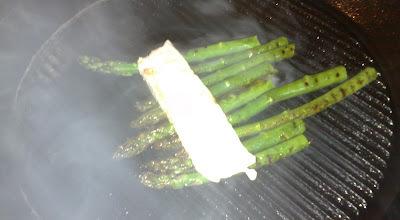 Serve in the shell, use some green veg to balance the shell or some foil. Finally a day at home ... just fancied a simple dinner so knocked up a Thai style curry ... its easy to forget how simple it can be to make a quick dish that tastes amazing. Most of these ingredients can be kept frozen. Finely slice 1 clove garlic and equal amount of ginger ginger(across the grain) with one lemongrass stalk, coriander stalks (save leaves to decorate) and chillis, add lime zest and pummel in a mortar and pestle for a few minutes, add lime juice and leave to infuse. Make bigger quantities and freeze if you want to keep some. Fry off seasoned onion and meat in hot pan ... to sear and flavour the meat. Andy was in the finals of Masterchef with me and makes amazing Asian inspired dishes. Peel and Mandolin potatoes finely and layer in dish with salt & pepper between each layer (use plenty of seasoning ... more than you think you should !). Do not wash the slices as the starch will bind the dish together when it cooks. Strain garlic cream and pour into dauphinoise dish till potatoes are covered. Cover with foil and place in the oven at 200C for 30 min (adjust times depending on depth of potatoes). The foil stops it burning. Take foil off Dauphinoise and press down potatoes firmly (this is key to the dish binding and not becoming a collection of potatoe slices floating in cream !). Put back in over at 160C and check every 15min, pressing down. Take out when brown on top and the cream mixture is absorbed. This freezes well, we make an oven tray full at home and freeze what we don't eat, reheat at 160C. 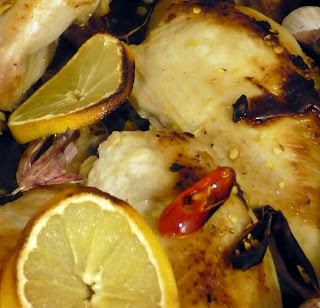 Italian inspired ... lemon and chicken go together fantastically, or you could use oranges as an alternative if you can't get really ripe lemons. It's sweet, hot, garlicky comfort food - a lighter alternative to a traditional Sunday roast. It needs to be served with something equally strongly flavoured, otherwise they'll get lost against the intense flavours of the chicken, so garlicky roasted potatoes are ideal. In a large sealable plastic bag, place zest and juice from 2 lemons, the honey, salt, Tabasco and 2 crushed cloves of garlic. I've been working on this for a while ... Arame seaweed (about £3 at an asian supermarket for a 30g bag of dried seaweed which will make approx 10 portions) tastes amazing with miso and a strong beef stock but I've struggled to get a balance to match the strong umame flavour of the seaweed. I matched it with some scallops, ginger, garlic and chilli. Now back to the Texturas ... made some lemon drops and added them to vodka ... amazing but none lasted long enough to photograph !